Browse > Home / News / Rain in Orange County? What is that stuff? 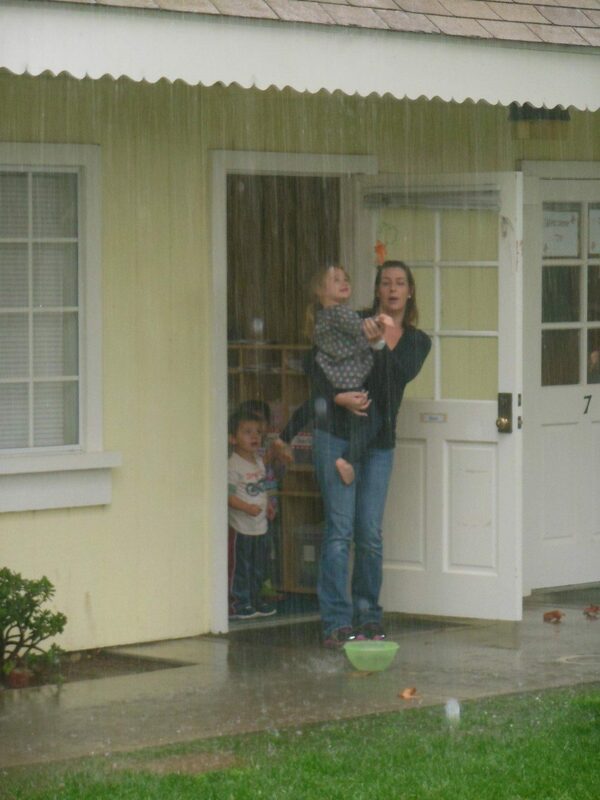 Rain in Orange County? What is that stuff? Last Friday was a rainy day. This was the perfect opportunity to discuss weather changes, particularly rain. The number one question that day was, “What is rain?”. We talked to the children about the water cycle, how rain forms in clouds and then falls to earth when the cloud contains a large amount of water. 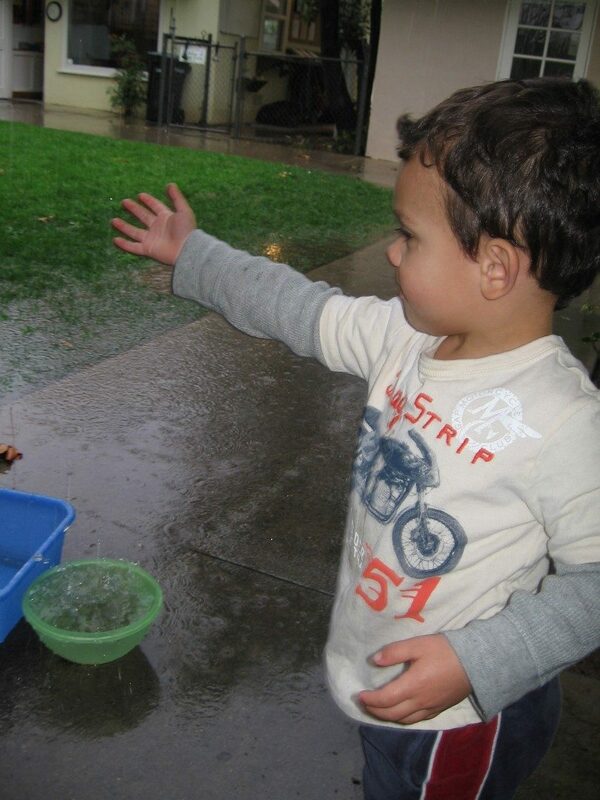 Many children wanted to touch the rain, and even taste it! 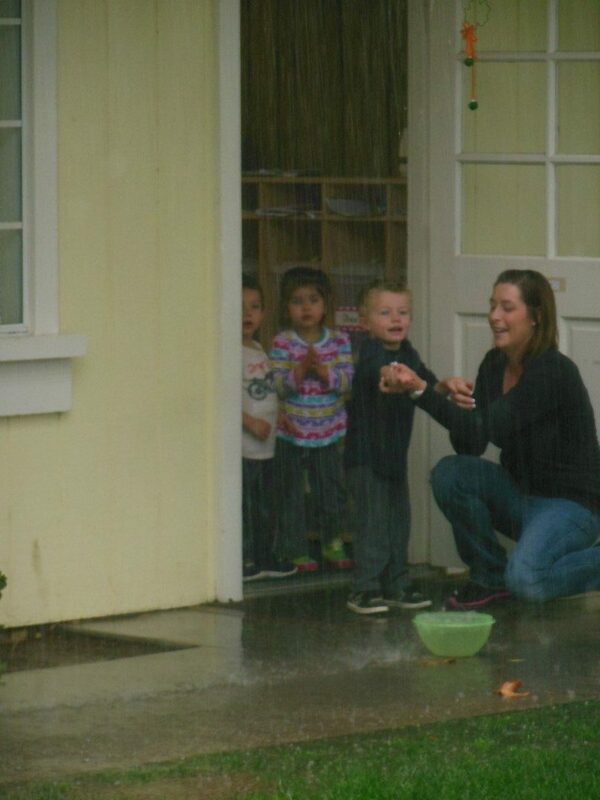 Other classrooms put bowls outside to measure the amount of rain that fell. Our rainy day gave us a day full of science, math and language development.